We’ve come to expect good quality and innovative machines from DKN and they’ve certainly provided us with some excellent and interesting models over the years. 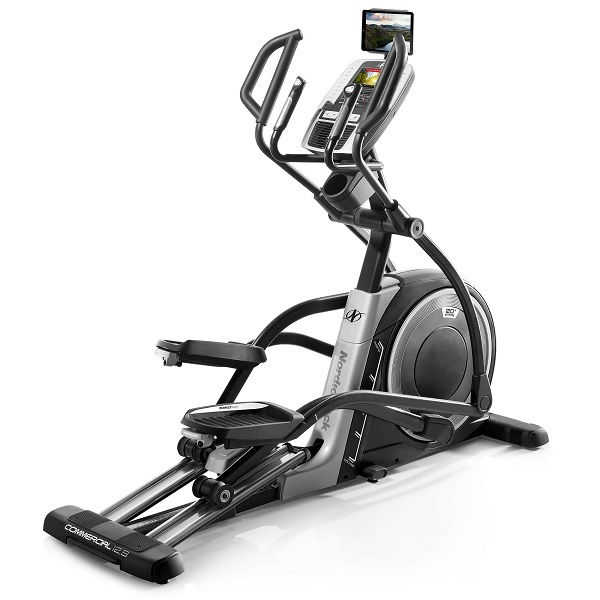 So when they gave us the opportunity to check out their Air/Magnetic Elliptical Cross Trainer we were really looking forward to checking it out. The DKN AirTrainer XC-220i looked good on paper but how did it fare during testing? Here’s what we found. First, putting it together. This wasn’t too bad but it’s worth bearing in mind that we’ve put an awful lot of ellipticals together! The instructions are fairly clear and it with two people it took us just over an hour. If your retailer offers an assembly service it’s probably worth enquiring but so long as you’re not a flatpackphobe you should be OK putting this together yourself. With a large mesh on both sides of the fan showing bits of the internal mechanism the XC-220i looks really cool. It’s also compact. 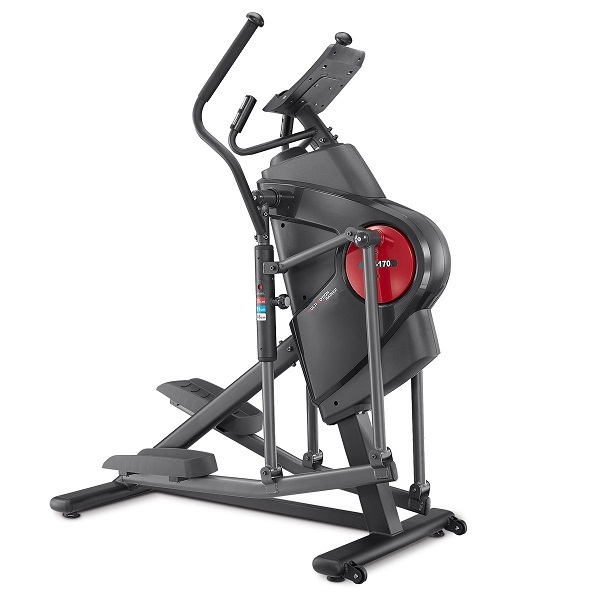 With a footprint of just 160cm x 71cm it’s actually no bigger than most standard home cross trainers, though the height and bulk of it do make it look larger than it really is. Despite its name, the AirTrainer XC-220i uses a combination of air/magnetic to generate the resistance all based around a hefty 18kg flywheel. 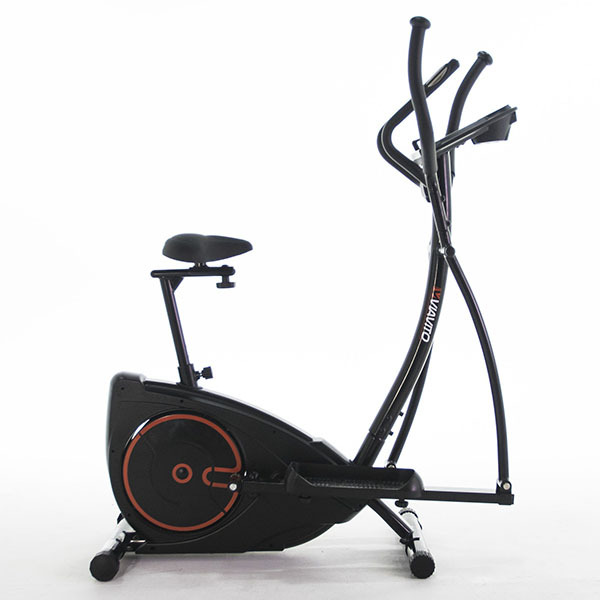 This has the benefit of providing an instant increase in difficulty just by moving faster (the air part) while still retaining the ability to deliver preset, computer controlled workouts (the magnetic bit). This makes it an excellent choice if you’re all about high-intensity interval training (HIIT) as well as if you’re just trying to get fitter and shed a few lbs. 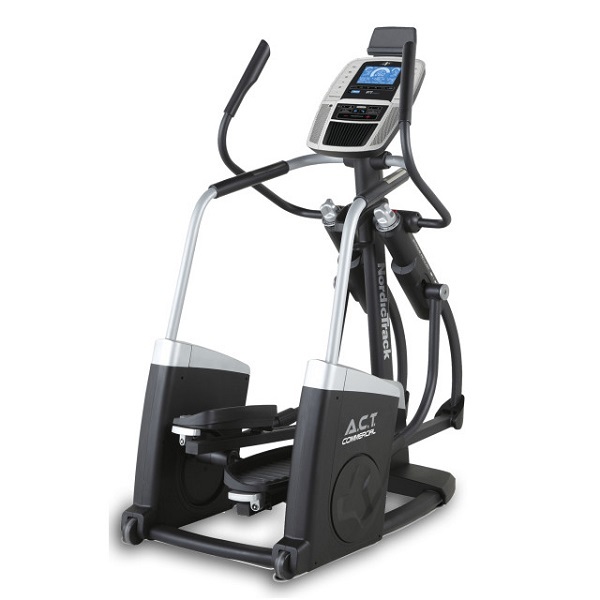 Being an air resistance elliptical, at least in part, it’s not the quietest machine we’ve ever tried but this is entirely expected. All air based resistance machines make noise. It’s not so loud that it takes away from the experience though and the XC-220i is smooth and sturdy. There are 2 roller wheels under each pedal which glide along on heavy duty dual guide rails providing a very smooth and stable feel. 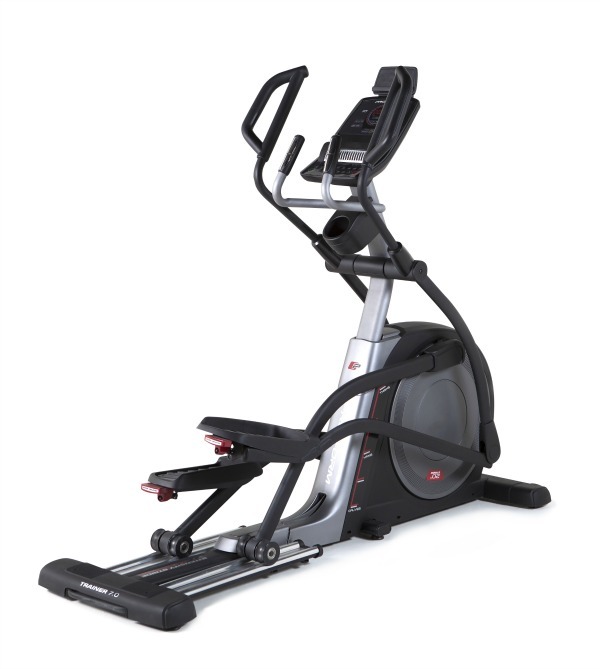 This set up also significantly reduces the side to side foot pedal motion you can often experience on front-wheel ellipticals with single rails. 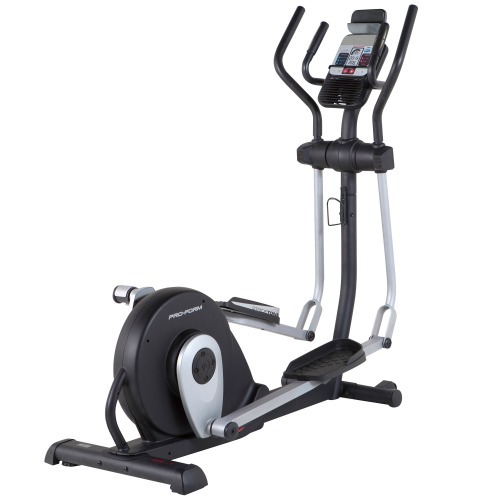 The XC-220i doesn’t feel the same as more common magnetic cross trainers because of the air resistance element but also because of its more stepper-like action than other ellipticals so it takes a bit of getting used to but it’s not a bad thing. Whenever you want to ramp up the intensity, just move faster and you have it right there and the same goes for easing off a little but always under the umbrella of the base level of magnetic resistance being generated. It’s really good if you like to vary the intensity of your workout quickly and works a treat. The other thing, apart from the size and the set up, that stands out on the XC-220i is the motion that it delivers. It’s definitely closer to stepper than strider, though in truth somewhere in between and it really does feel good to use. The console is one we’ve seen on other DKN models and does the job well. It’s got a nice, bright backlit display that’s easy to read and displays all your training information pretty much at once. The stand out part of the console is the Bluetooth connectivity that allows you to connect a smart device to the machine and use several apps. Two of the apps are DKN native ones. The Motion app allows you to use your tablet as a surrogate console. The i-world app allows you to map out courses on Google maps. There are some 3rd party apps like Vescape and BitGym that are also compatible making for a good bit of entertainment. 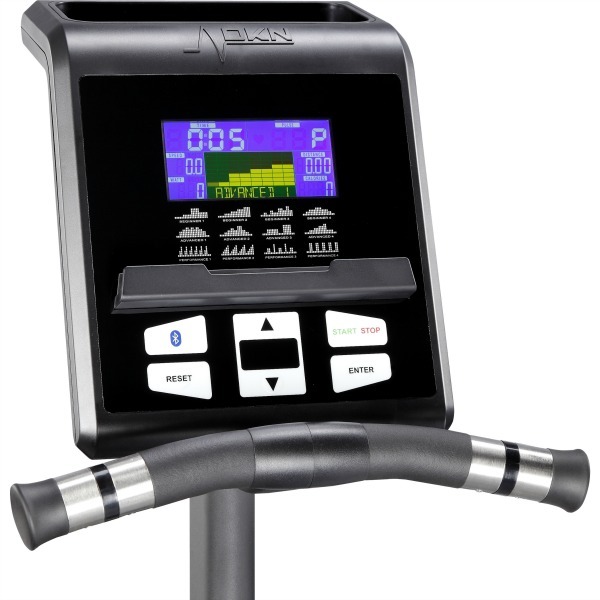 Also featured on the console are 12 pre-set workouts (4 beginners, 4 advanced, 4 performance), manual mode, watt mode, and 4 user profiles for better training data accuracy. 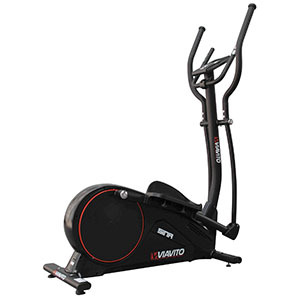 With a cooling fan, interactive training, air/magnetic combo resistance and a Q-factor (distance between the pedals) of just 50mm this is a comfortable and entertaining cross trainer. 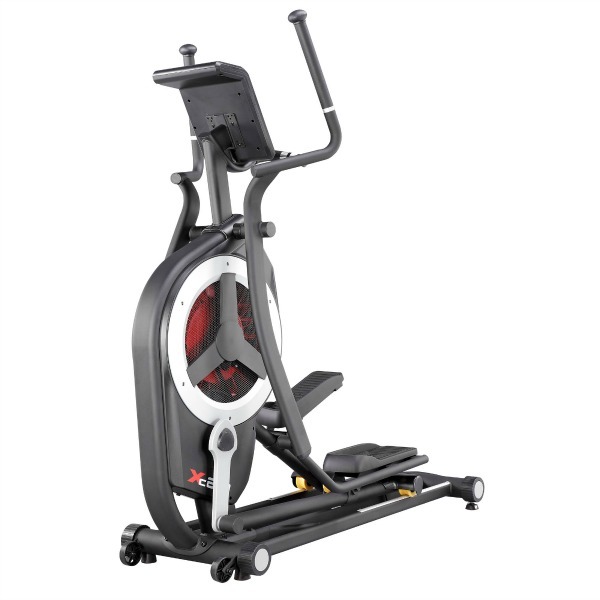 If it’s high intensity training packed into a small space with something to keep you coming back for more that you’re looking for then the DKN AirTrainer XC-220i is very much worth adding to your shortlist. To get the AirTrain XC-220i for only £1099, use code AIRTRAIN800 on the DKN-UK basket page! Smooth. Robust. Compact footprint. Seriously intense workouts. Interactive training and Bluetooth connectivity. Sound good? It does to us too. 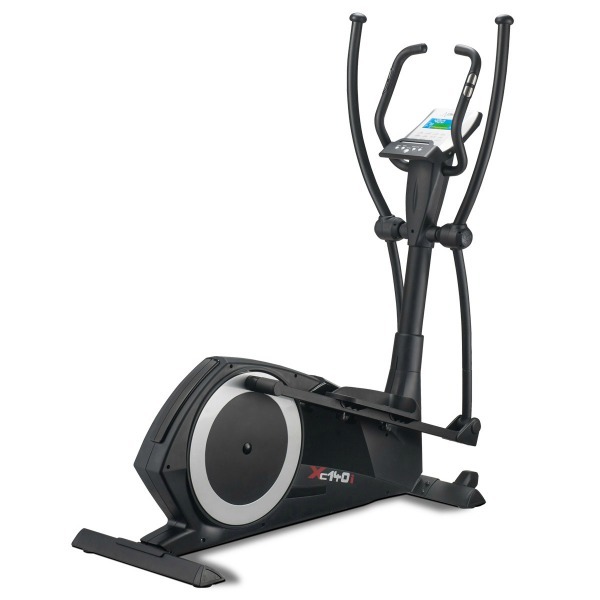 The XC-220i offers a great deal to a very wide range of people wanting to get/stay fit. 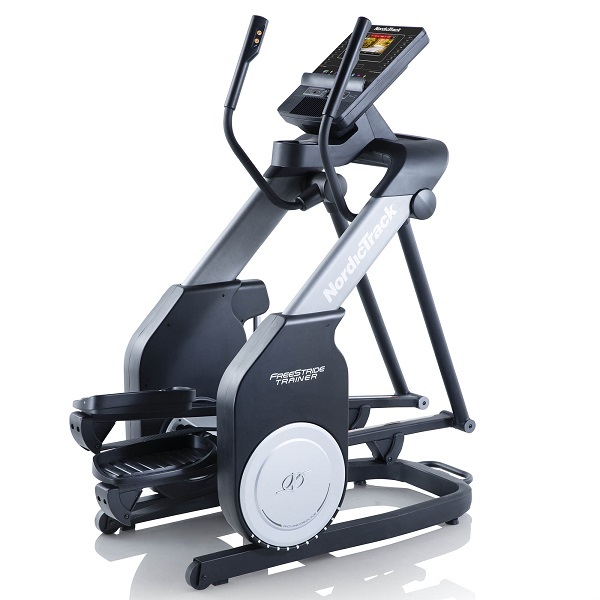 While it does offer interactive features, if it's hi tech training you're looking for then right now it's hard to see past the NordicTrack Commercial 12.9 elliptical which is simply brilliant. Boasting a slick full colour Android powered touch screen and the option of very impressive iFit system it's currently on offer and available for similar money as the XC-220i.